Piermont picture, mirror and photo framing company is the #1 rated Heritage Frame & Picture Co..
Heritage Frame offers custom framing, art restoration and art installation throughout Piermont. We also provide FREE custom framing, art restoration and art installation estimates in Piermont by calling (914)332-5200. In addition to framing artwork for homes and private collectors, Heritage Frame specializes in picture, mirror and corporate framing for restaurants, banks, law firms, hotels, schools, universities, not for profits, interior designers, interior decorators, sports teams, commercial and residential buildings. If you are in Piermont and you want Heritage Frame to come to your home or business, call Ted Howell. Ted is the owner and a 4th generation custom framing, art restoration and art installation expert. He can be reached at 914-332-5200. You can also email: Ted@HeritageFrame.com. 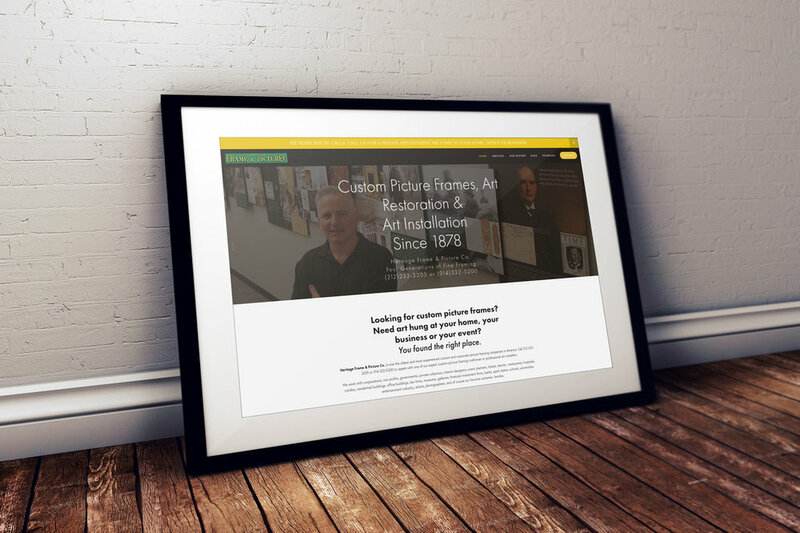 As an added bonus to Heritage Frame customers, we also have online custom framing services. Our online custom picture photo and mirror framing service allows you to select various types of frames. These frames include wood frames, antique, museum quality, metal and modern frames. You can also select matting options. The major benefit of this service is that you can upload a digital image of the item you are looking to frame and select frames and matting to see which look best. All of this you can do from the comfort of your home or office. Furthemore, you can also select the color of the wall the art will be hung on so you can get another perspective on how the frame and picture look on different backgrounds. If you have any questions and would like to reach us online via our contact form, please click here. Someone will get back with you ASAP to answer any question you have. For fastest service call us at (914)332-5200 - or - (212) 233-3205. An interesting fact about Piermont is that it is the only place you can witness this amazing piece of history. In fact, it could be a major reason to add it to a list of must see places in New York. The Piermont hand-cranked drawbridge. 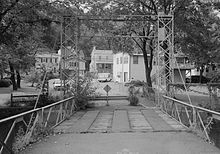 The Piermont hand-cranked drawbridge, also known as the Sparkill Creek Drawbridge, was originally built in 1880 by the King Iron Bridge Company from Cleveland, Ohio, that constructed more than 10,000 bridges over six decades. The hand-cranked drawbridge is used as a pedestrian walkway providing a link to Tallman Mountain State Park. This bridge is the only hand-cranked drawbridge in Rockland County and perhaps in the United States. Back in the day, fishermen on sloops heading up and down the creek got out of their vessel, cranked up the drawbridge, sailed across, got out of their vessel and cranked down the drawbridge for vehicular traffic. The whole bridge was dismantled piece by piece, sent off-site for restoration and restored to its original state after a complete forensic analysis. The bridge itself is worth taking a photo of and framing. In addition, it would make an excellent book with an opportunity to add mid century photography. For Piermont photo, mirror and custom picture framing- HeritageFrame.com is the one to call. Heritage Frame & Picture Company provides custom picture frames and art installation in Manhattan, NY. If you are searching for an experienced and professional company that understands how to frame your artwork, photography, memorabilia, certificates, diplomas or even poster, Heritage Frame & Picture Co. is your answer. Heritage Frame & Picture Co. works with corporations, private individuals, homeowners, interior designers, museums, art galleries, artists, photographers, interior decorators, hotels, restaurants, condo, residential buildings, office complexes and event planners. In business for almost 140 years, we have a wide assortment of picture frames, matting and materials to enhance your artwork and home or workplace environment. We provide custom framing throughout Manhattan from the Battery Park, Lower East Side, Greenwich Village, Soho, Midtown, Park Avenue, Central Park, The Upper West Side, Harlem and everywhere in between. We understand how to professionally care for your art pieces and photography so they are preserved in the condition provided. In addition, we believe in providing excellent customer service. We are able to come to your home, office or location. We bring an assortment of picture frames, matting and hardware for you to choose. Another option is for you to visit our Heritage Frame & Picture Co. showroom located at 8 Main Street, Tarrytown, NY 10591. Phone 212-233-3205 (or) 914-332-5200; email Ted@HeritageFrame.com. Our showroom has an assortment of custom picture frames ready for you to select. If meeting in person is not possible or you do not want to travel to our showroom, we also pick up and ship anywhere. When you call us to discuss your custom picture frame, we will inform you how we work together to ensure your artwork, photos, posters, posters, certificates, diplomas or memorabilia is safely packed and transported to us. We provide custom framing to many Manhattan residences, galleries, hotels, restaurants, law firms, private art collectors, interior designers and corporations. In addition to custom framing, we also provide art installation. We come come to your residence, place of business or event and hang your artwork, photography, posters, diplomas and memorabilia. Art installation is available if you purchase a frame from us or not. We also can rehang your artwork in your location if needed. We also give our clients free custom frame estimate and free art installation estimates. For custom framing, art installation and picture hanging in Manhattan, New York, call Heritage Frame & Picture Co. at 212-233-3205. Ted Howell, Master Picture Framing Craftsmen and owner- Heritage Frame & Picture Co.
Westchester pictures frames and more are available at Heritage Frames & Picture Co. Heritage Frame & Picture Co. is located at 8 Main Street, Tarrytown, NY 10591. Our phone number is 212-233-3205. For almost 140 years we have been providing our clients with frames for pictures, art work, photographs, memorabilia as well as framing for graduation certificates. 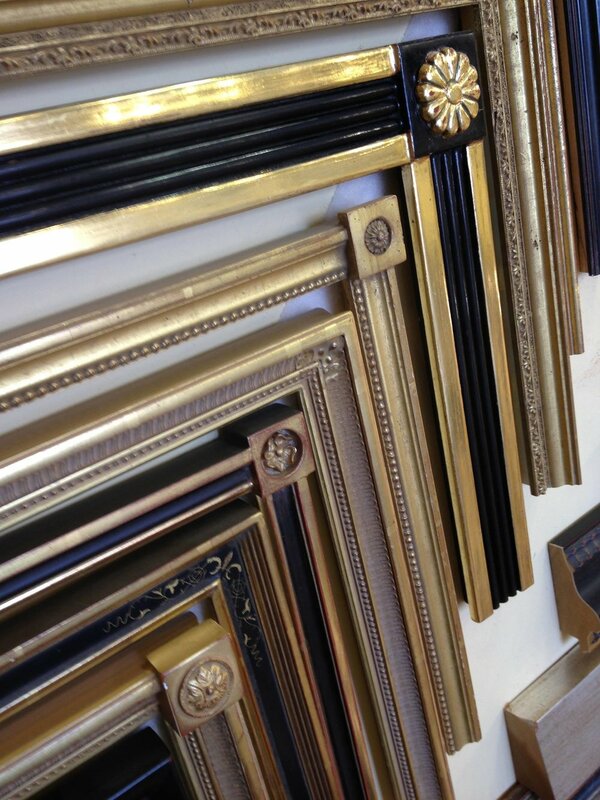 We have a large selection of frames, matting and materials. You can come to our showroom or you can set up an appointment to have us meet you at your home or office. We also pick-up your artwork, photos, and memorabilia anywhere in the United States as well as internationally. Whether you are looking to have art installed at your home, office, restaurant, hotel, bank, residential building or commercial building- Heritage Frame & Picture Co. has the experience and expertise to perform the job professionally. We have hung artwork in thousands of homes, offices and retail locations. We help you choose picture frames that enhance your decor and environment. In addition, we install your artwork where it shows its best profile. We also install your framed artworks, pictures and photographs even if you did not purchase your frame from us. We are able to remove your artworks and reinstall for you. We hang your pictures where you choose or where can make our recommendations. We value your artwork and photographs as much as you do. In addition to Westchester County, we also have clients in Putnam and Dutchess County. We look forward to working with you. We are dedicated to providing you with the largest selection of picture frames, materials including wood and metal, as well as an abundance of colors, textures and styles. To familiarize yourself with picture framing terminology, please take a look at our Glossary of Picture Framing page. There you will find some familiars terms and a variety of words you will find extremely useful to help you choose the right picture frames, matting and materials.